It’s back to school time, and that means school supply shopping! When I’m out getting everything on the list, I like to throw in a couple of extras for the teacher. Rather than just handing over a package of pens, I thought it would be fun to make them into a pretty teacher gift. 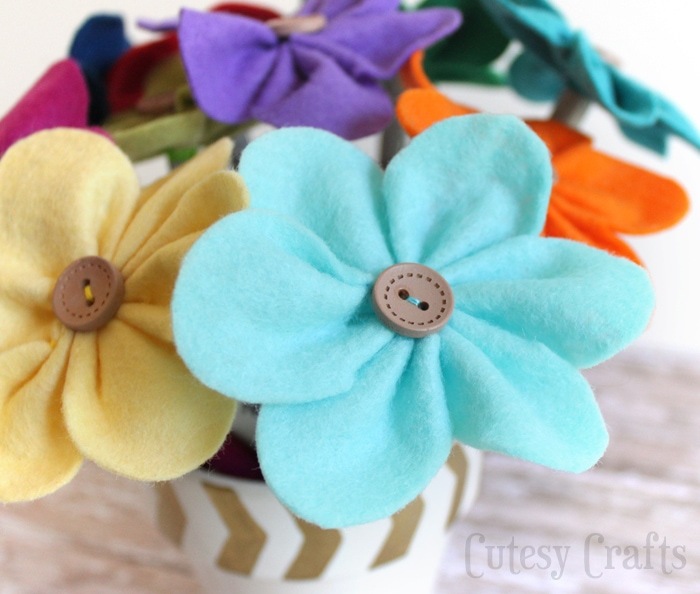 Plus, I’ve really been wanting to try my hand at making felt flowers! 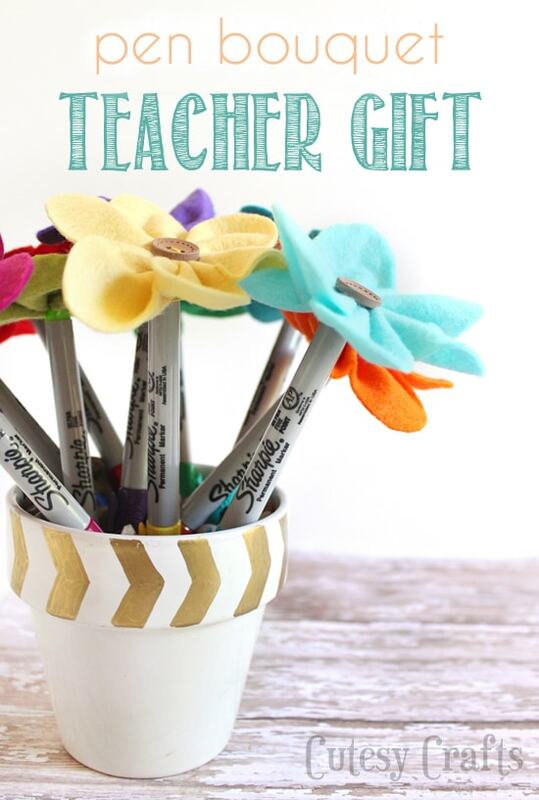 The teacher can put the pot on her desk and grab a pretty pen any time she needs one! If she just wants to use the pens, that’s fine too. 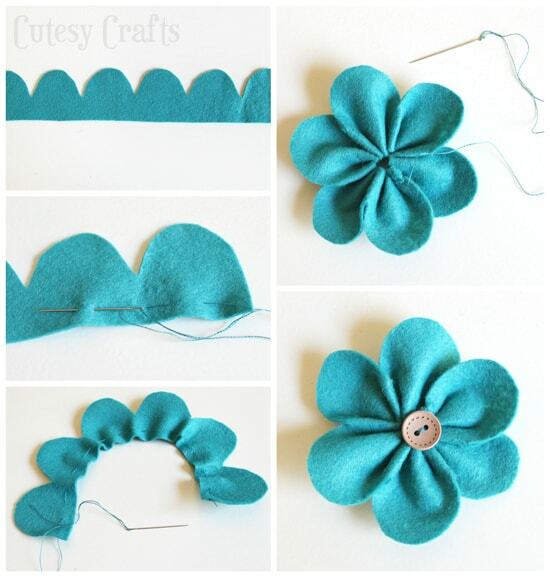 The felt flowers are hot glued on, so they can be peeled off if needed. We went to Staples to pick up the Sharpie Markers. They had a huge selection of Sharpies and other school supplies to choose from! 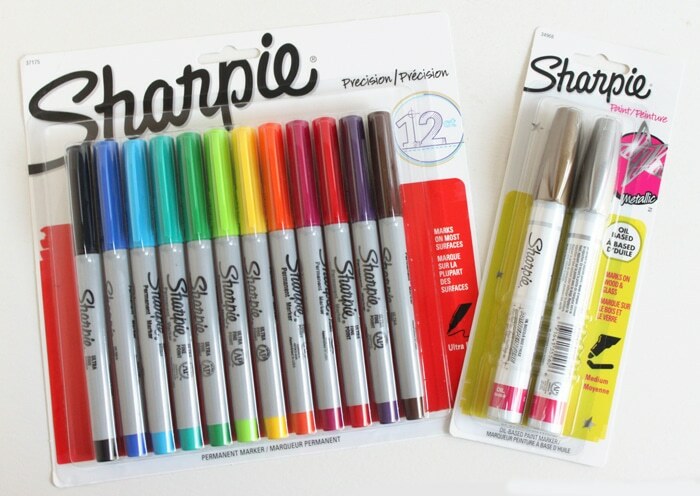 All Sharpie Fine and Ultra Fine assortment packs and Sharpie Neon Marker packs are currently on sale at Staples through August 24th “while supplies last”. Decorate the pot however you want using the oil-based Sharpie paint pens. I went with gold arrow shapes around the rim. You can even write the teacher’s name if your handwriting is better than mine. 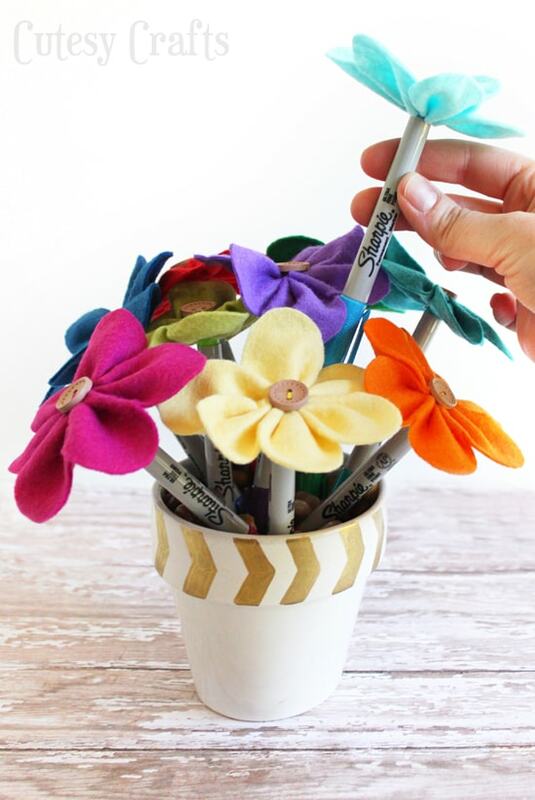 Fill the pot with some pebbles from the floral section of the craft store to give the pens some stability. 1. Cut the felt using the scallop pattern found here. 2. Thread your needle with a single thread of embroidery floss or just regular old sewing thread. Tie a knot at the end, and do a large stitch along the straight edge of the scallop. 3. Pull the thread so that it gathers. 4. Bring the needle back around through the other side of the scallop to make the flower shape and secure the thread by tying a knot. 5. Sew a button on the top, secure the thread again, and cut off the excess. Hot glue a flower to the bottom of each pen, and put them top-down into the pot full of pebbles. 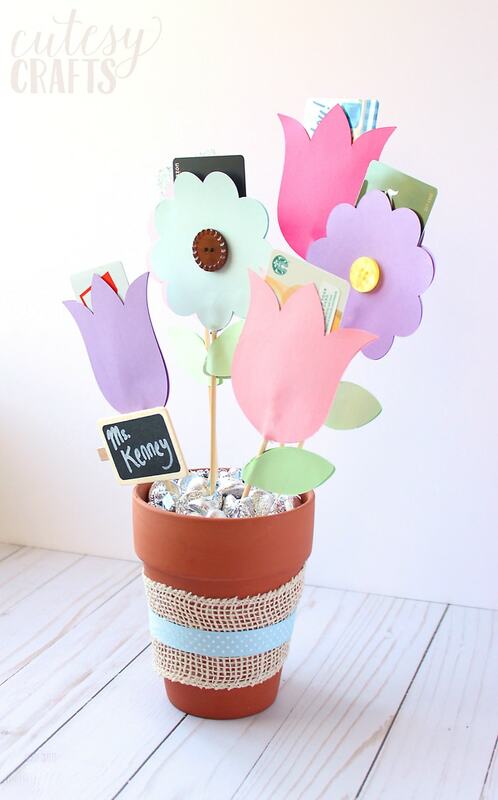 A gift that’s sure to win brownie points with the teacher! 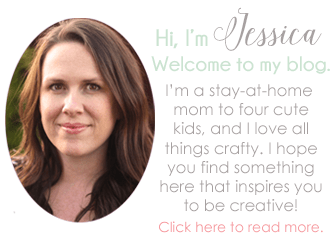 I love the gold on that pot Jessica! There is something magical about gold sharpies. 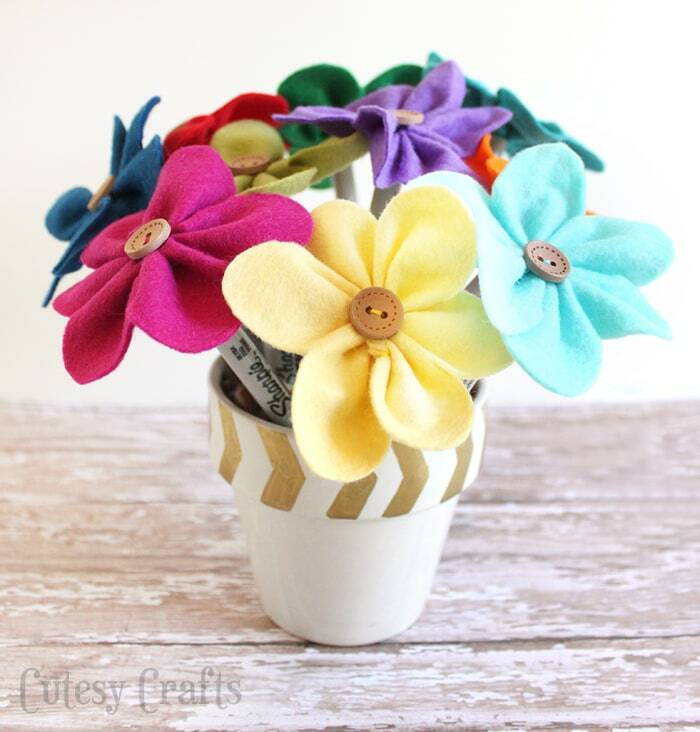 And I love the felt flower idea, I’ve never seen one on a sharpie!! Great idea! Thanks, Karen! 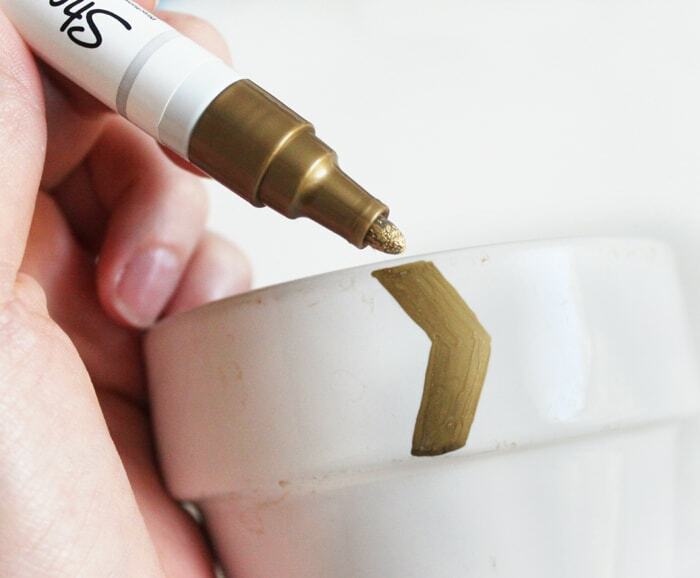 I’m already trying to think of other projects to use the gold Sharpie. I love it! Thanks, Amy! Felt is my favorite, and these were so easy! These are SO adorable! I want to make a whole bunch for myself (and for gifts, too!)! Thanks, Heidi! They were a lot of fun to make! So pretty! These remind me of all those pens that you find at stores they don’t want you to take. Oh! These would go so well on pencils with Lauren’s “Keep Calm and Always Return My Pencils” shirt as a teacher gift!